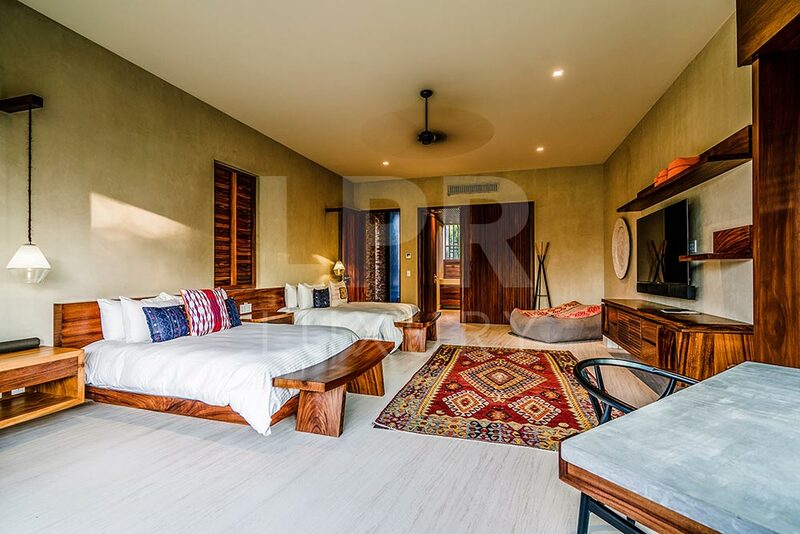 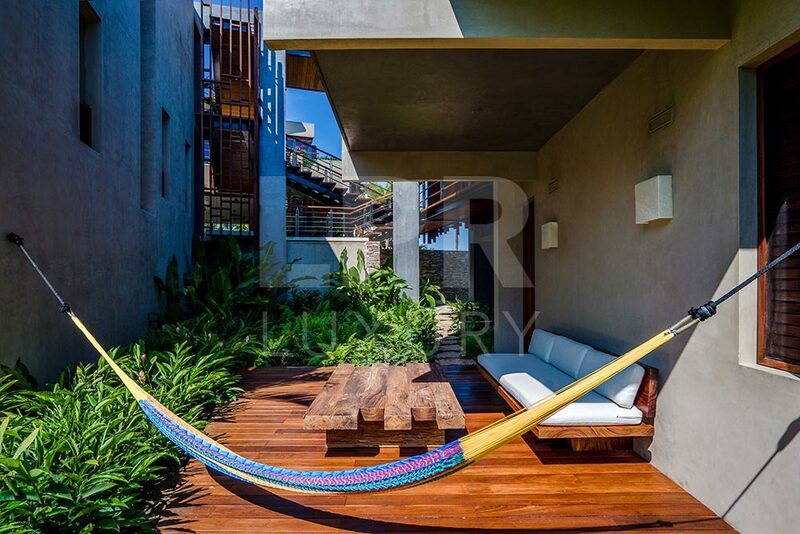 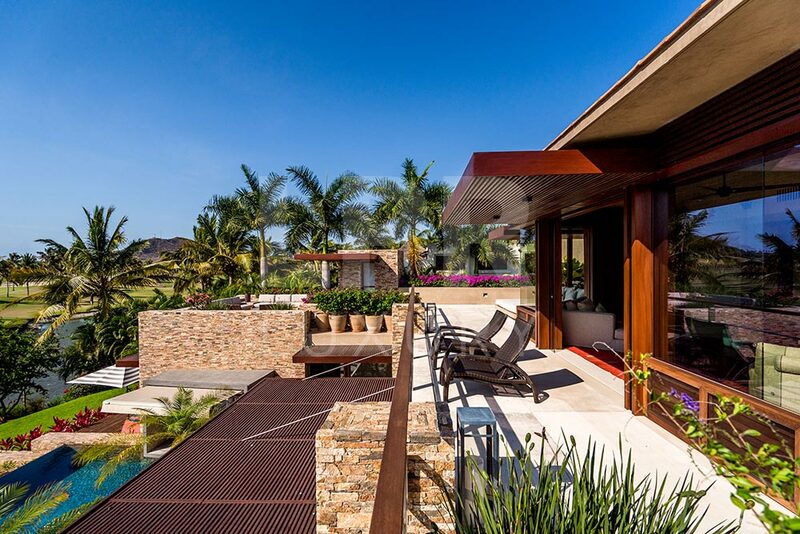 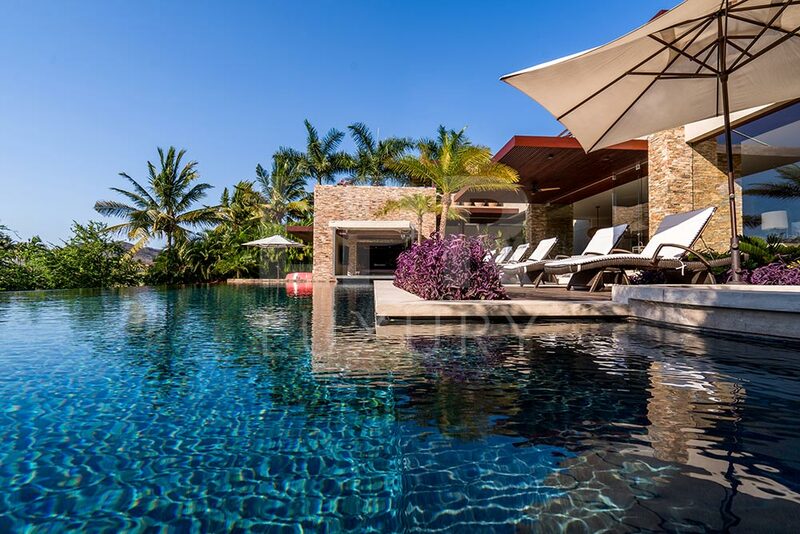 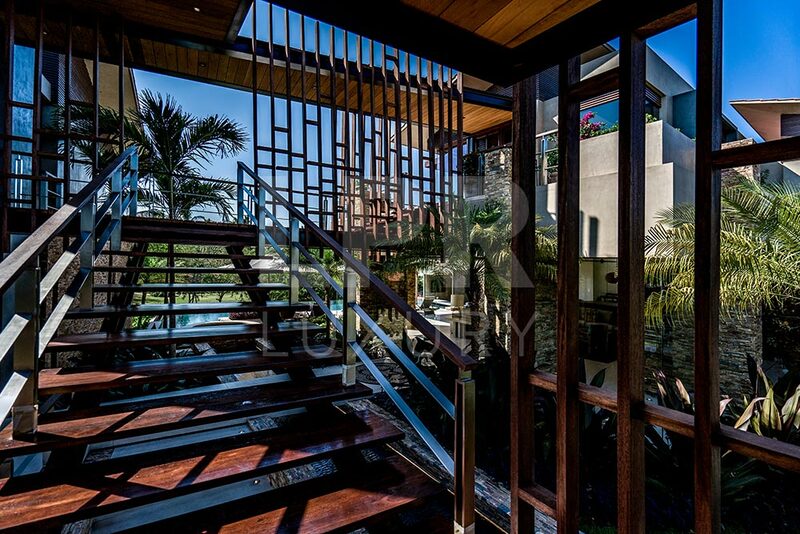 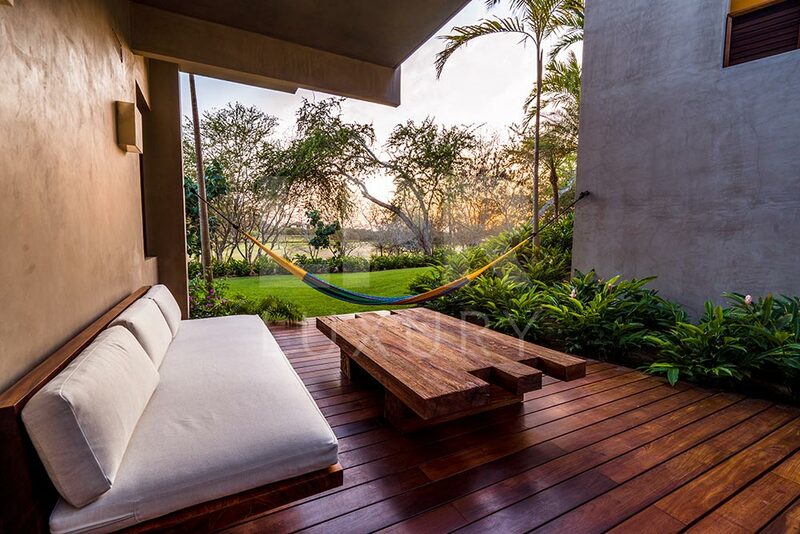 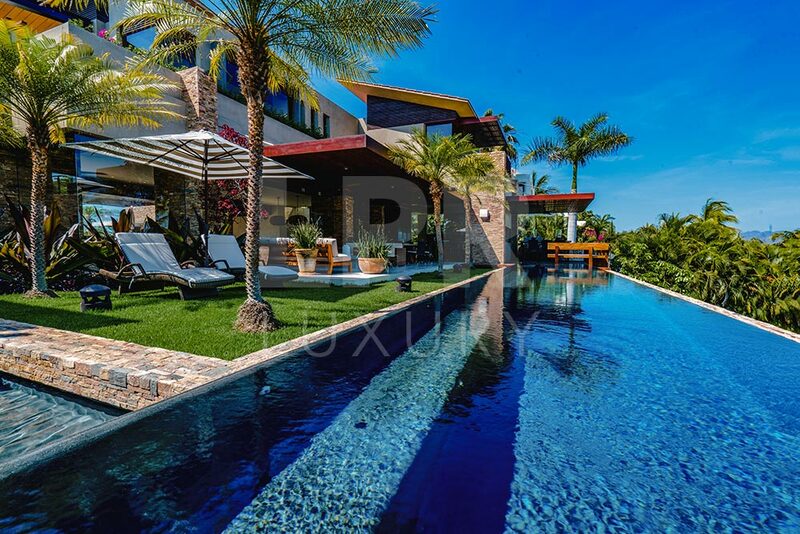 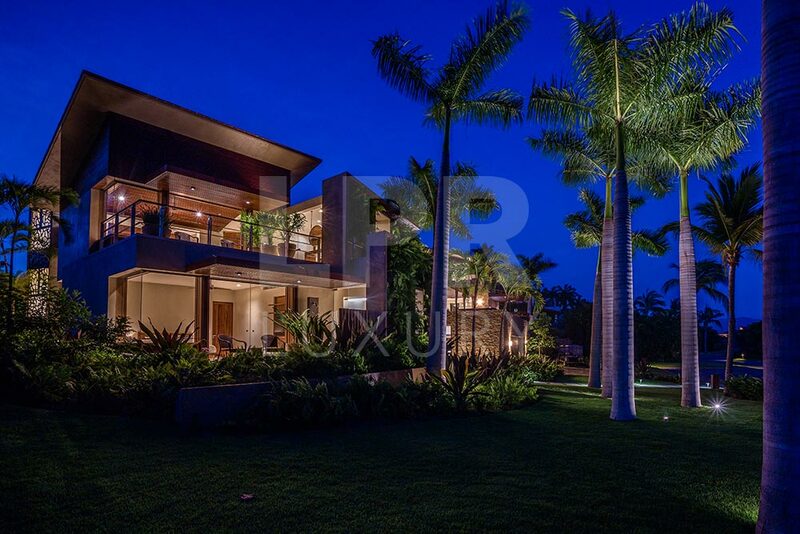 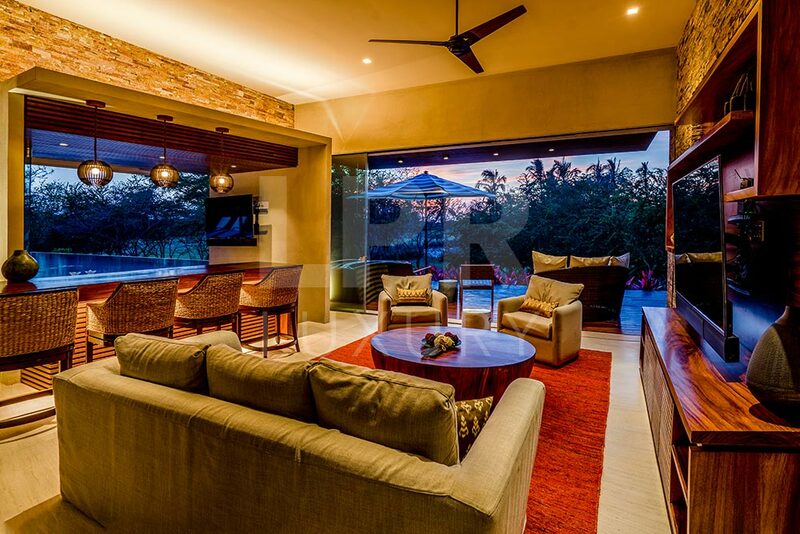 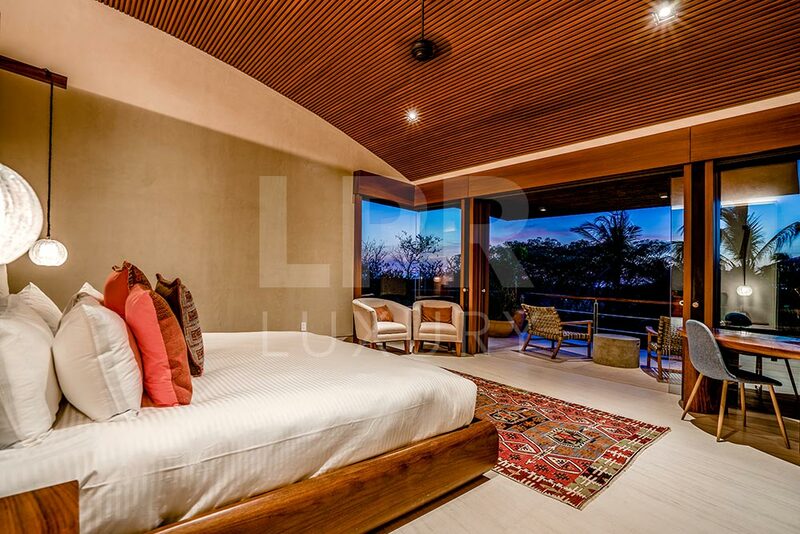 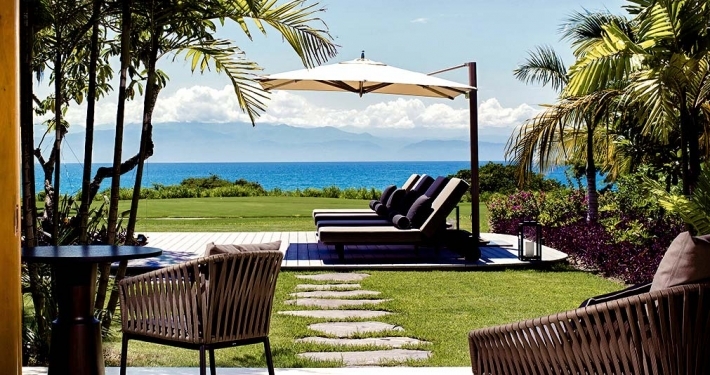 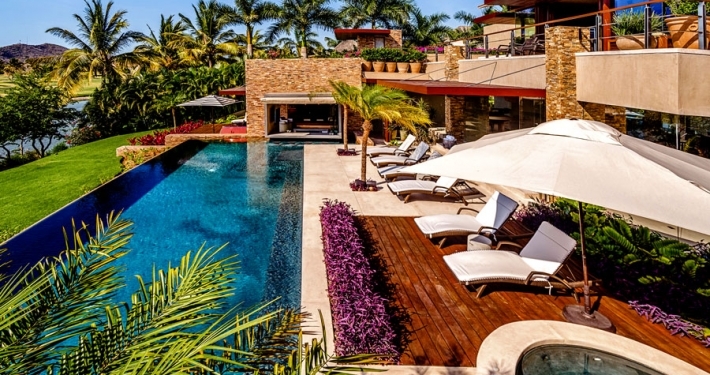 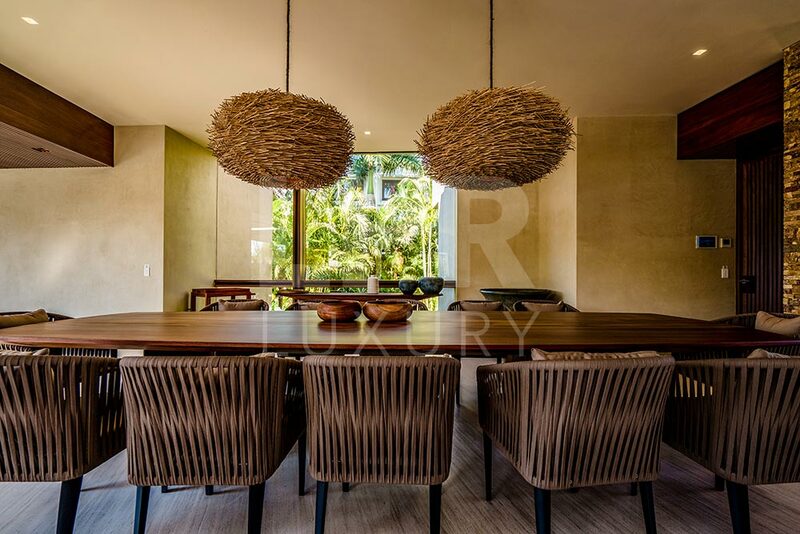 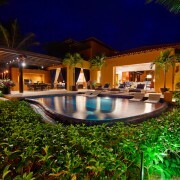 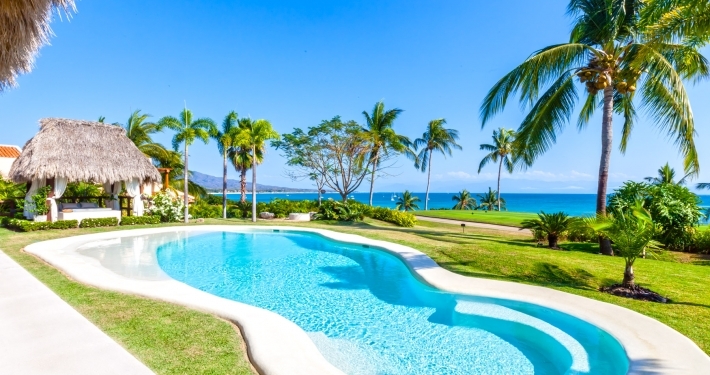 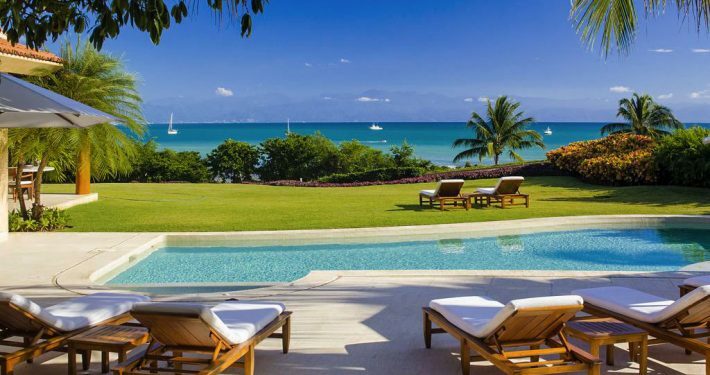 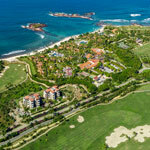 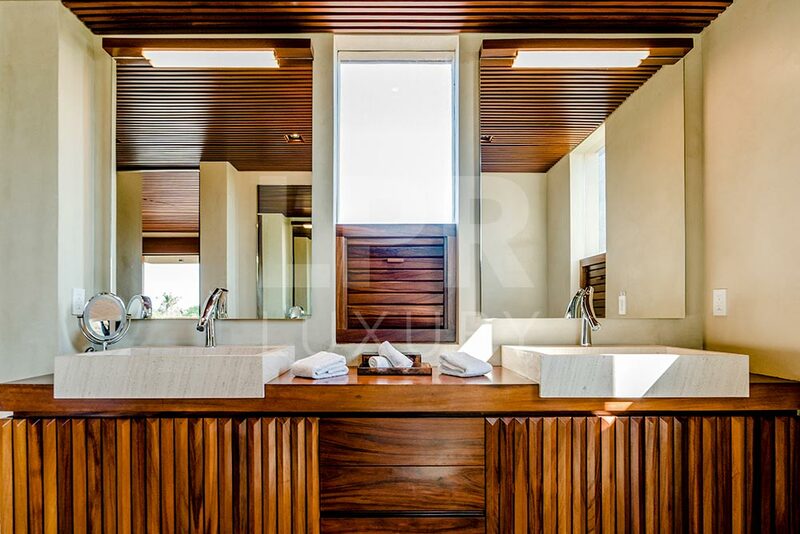 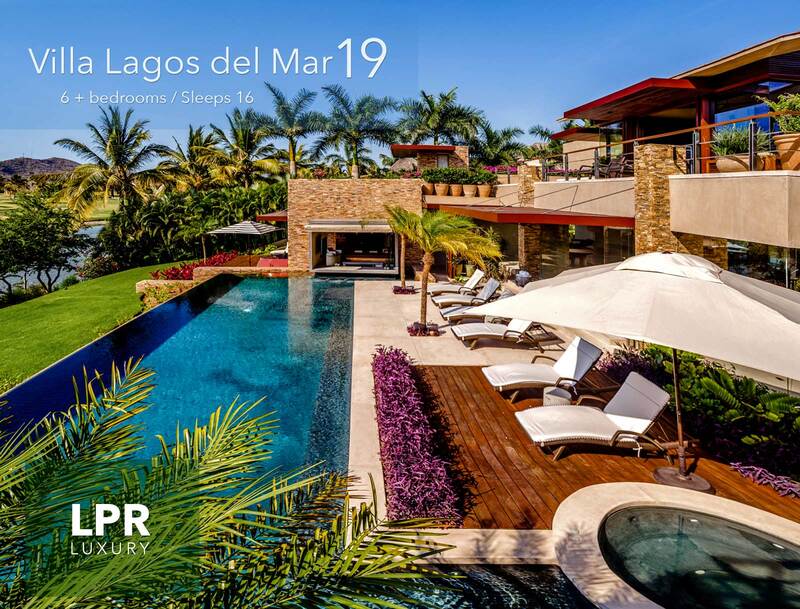 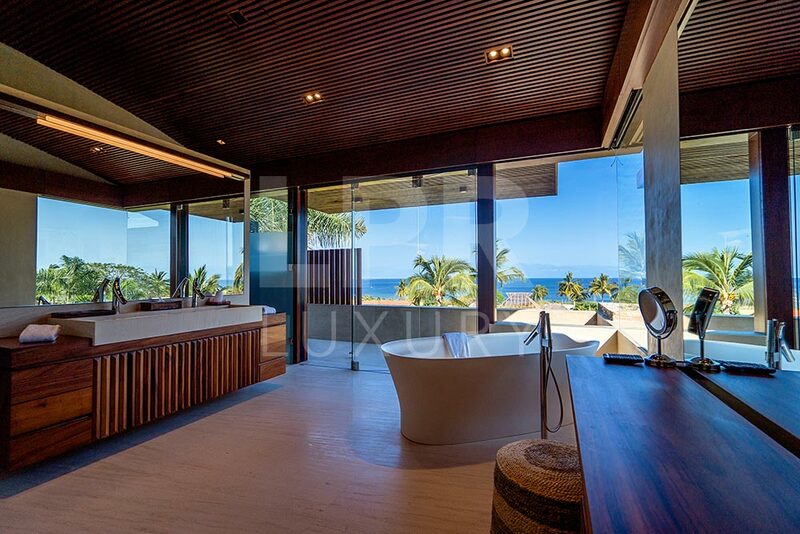 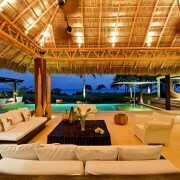 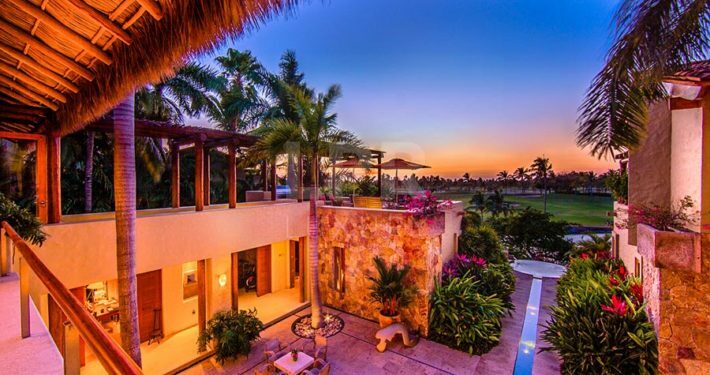 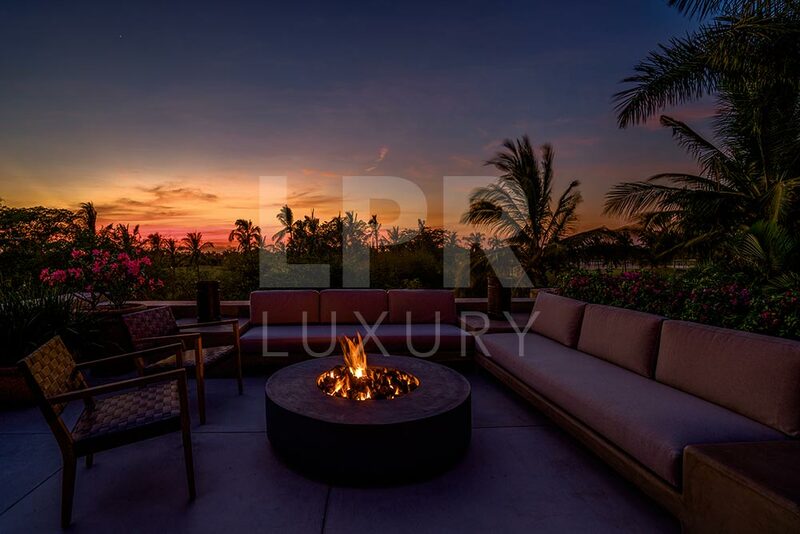 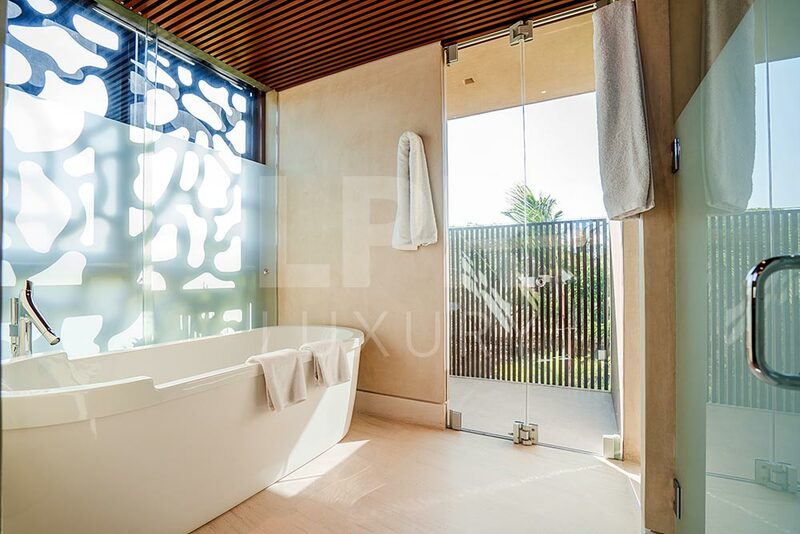 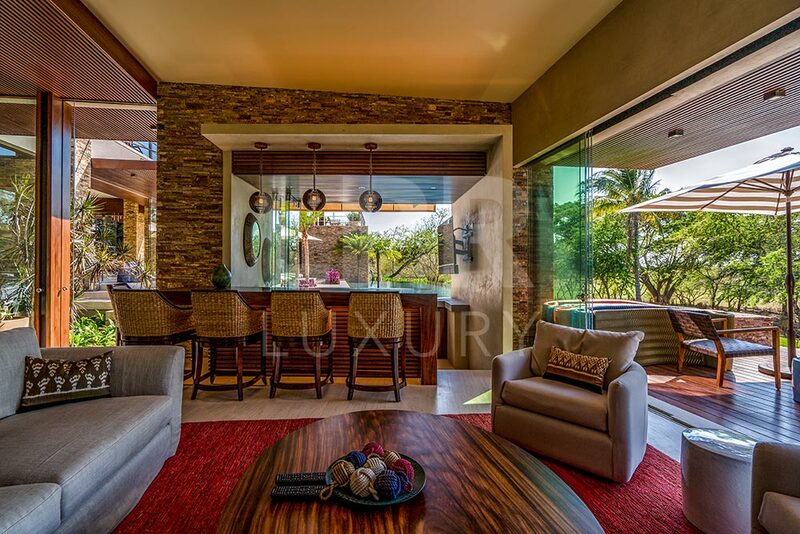 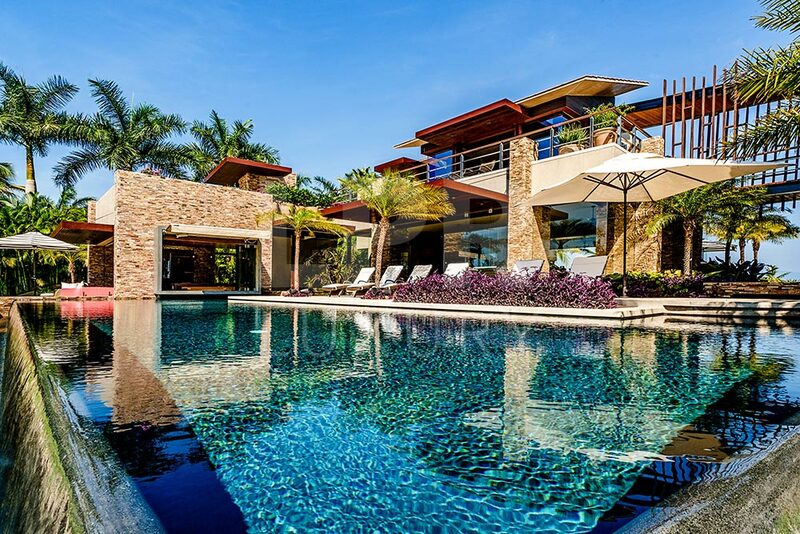 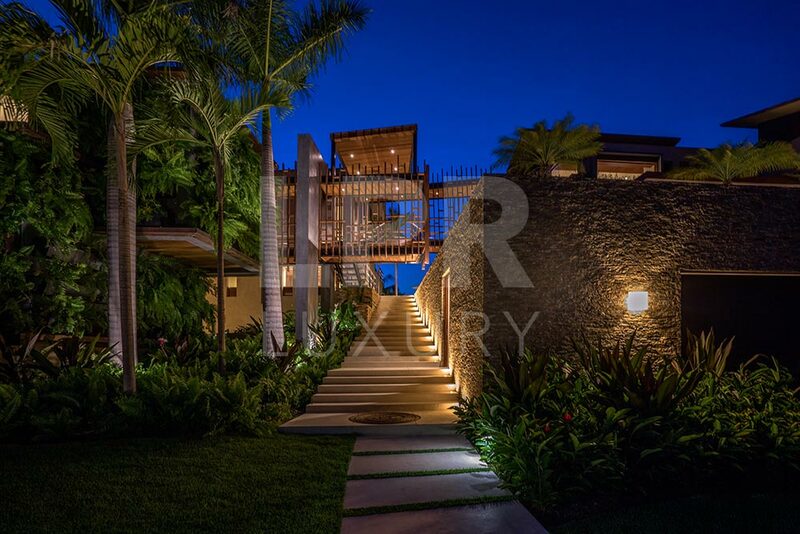 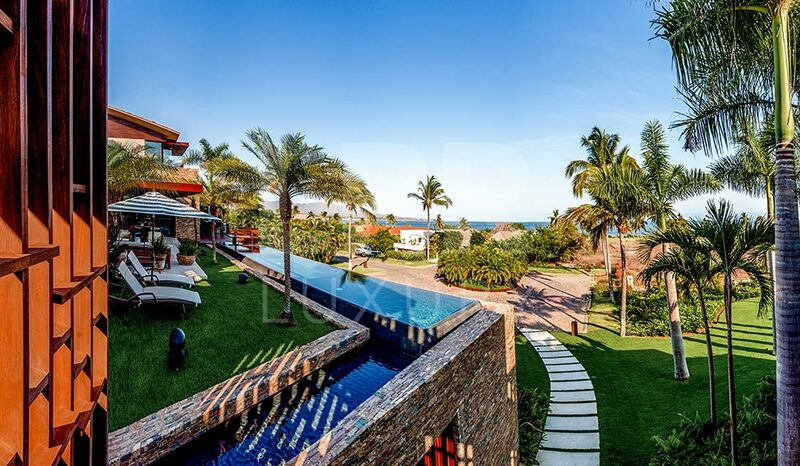 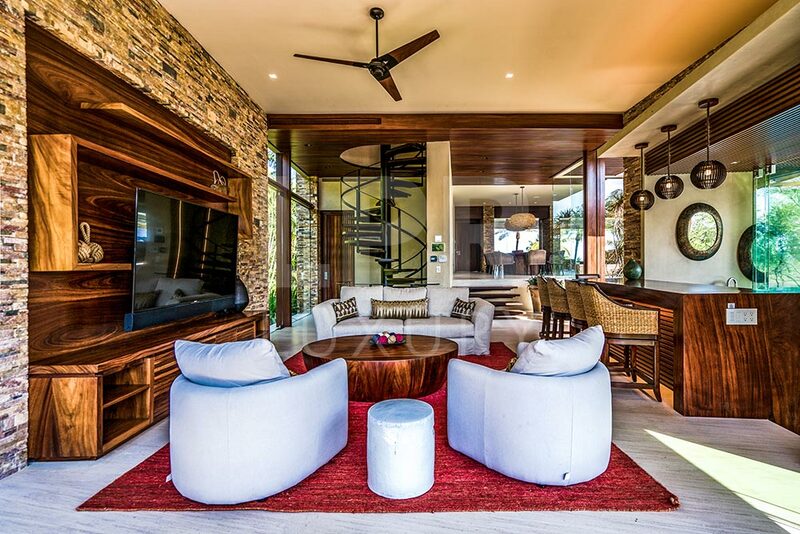 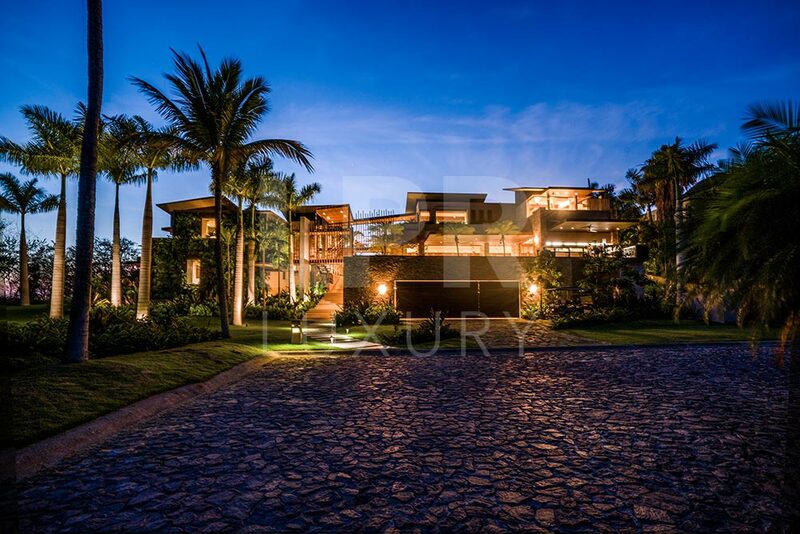 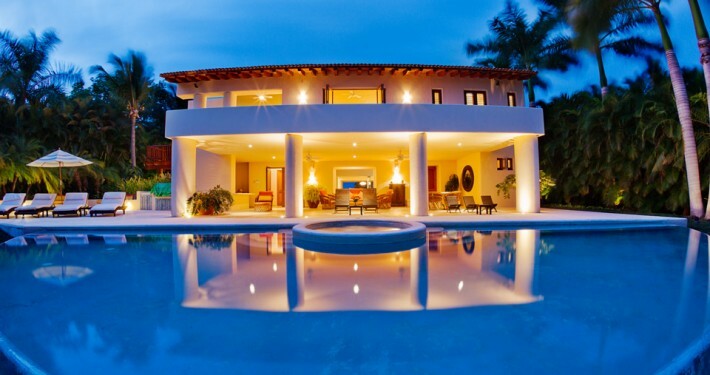 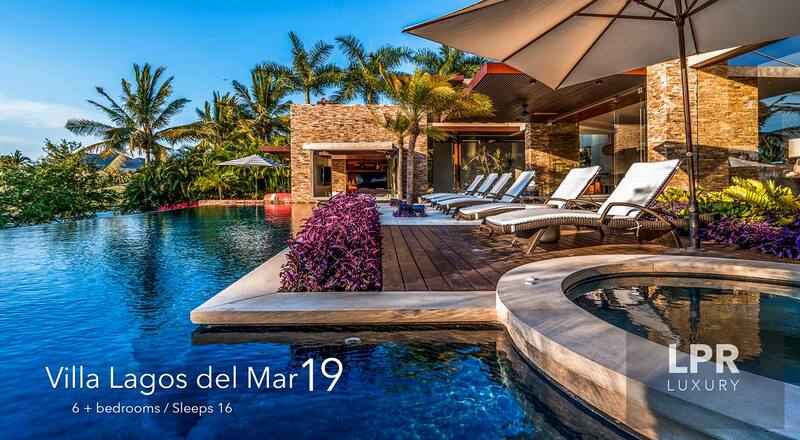 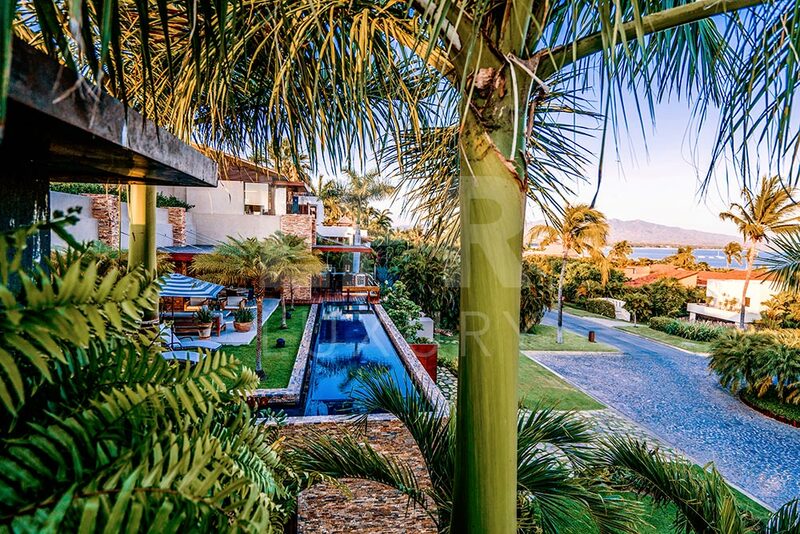 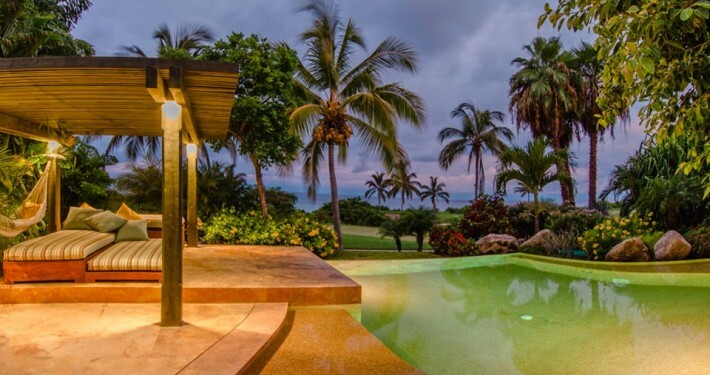 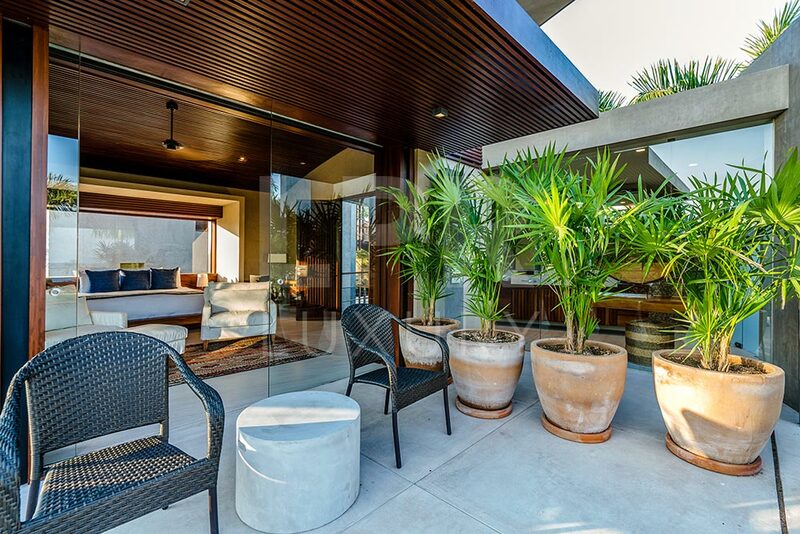 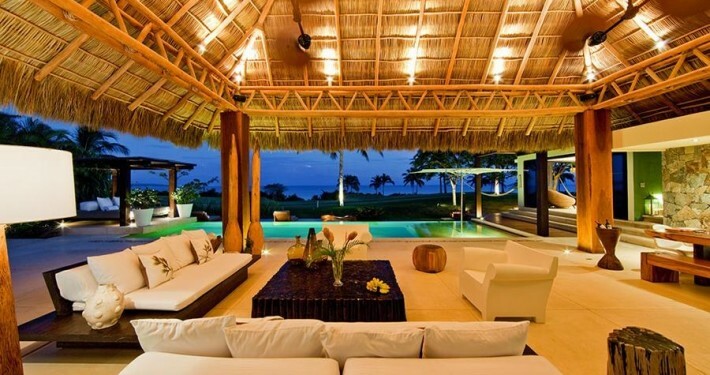 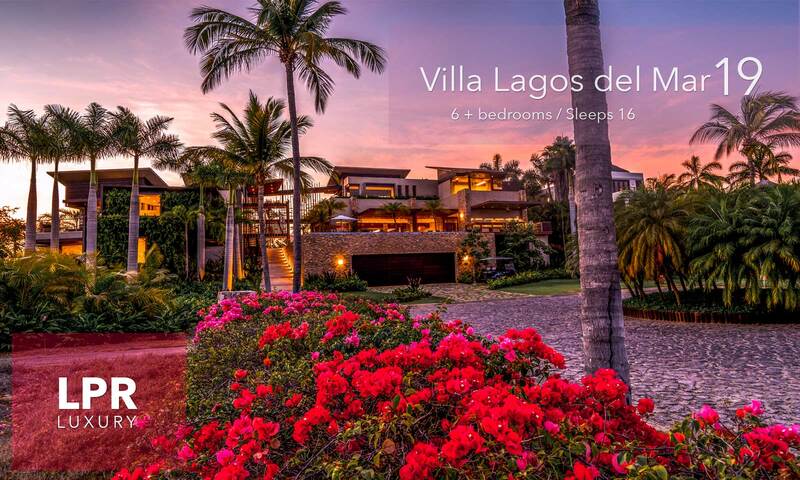 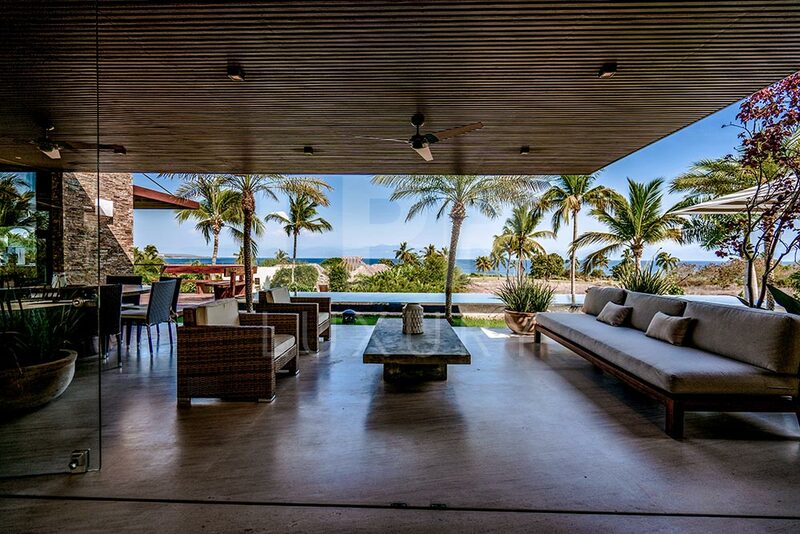 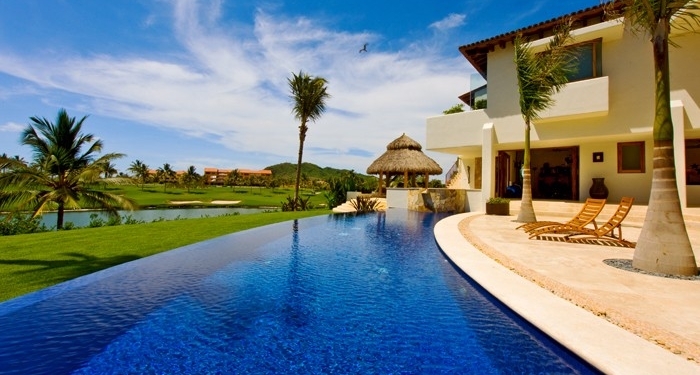 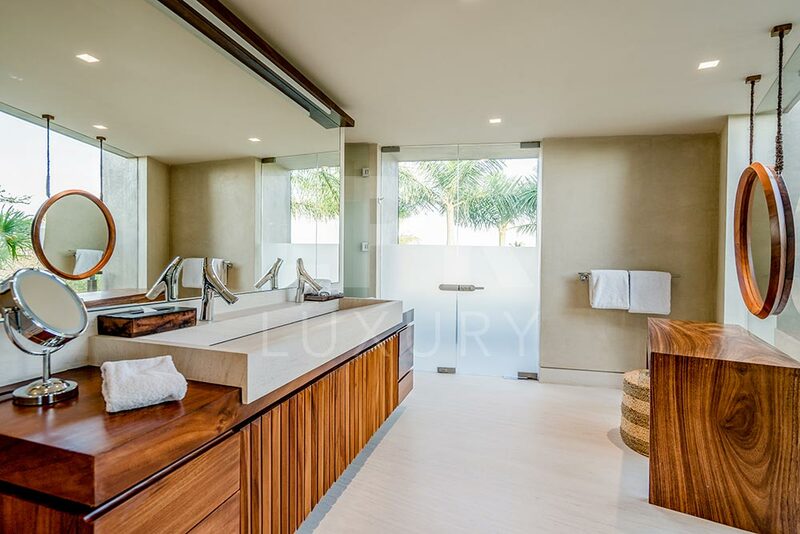 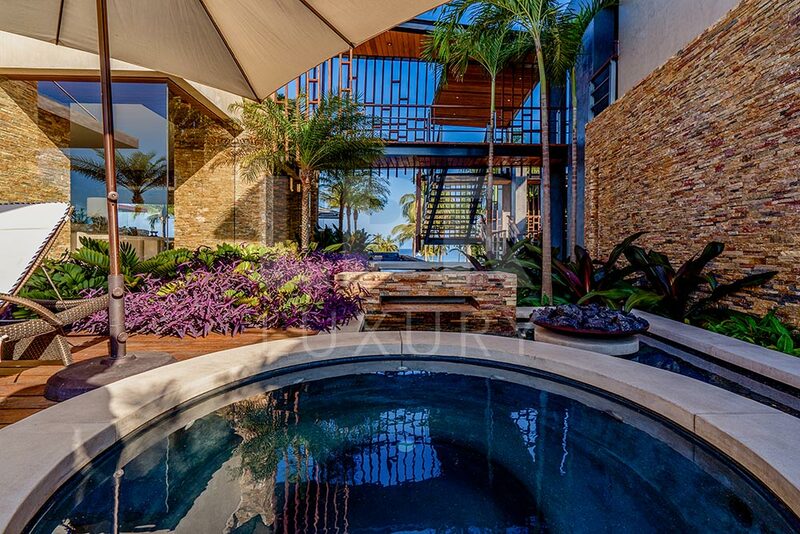 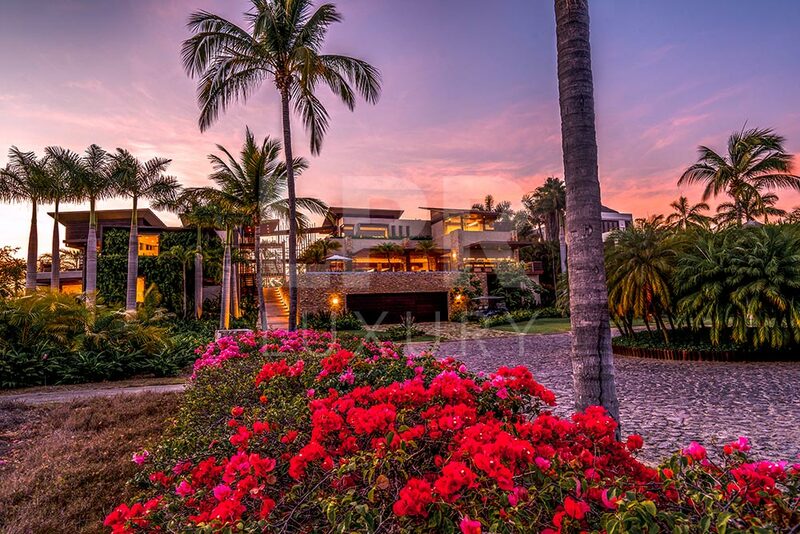 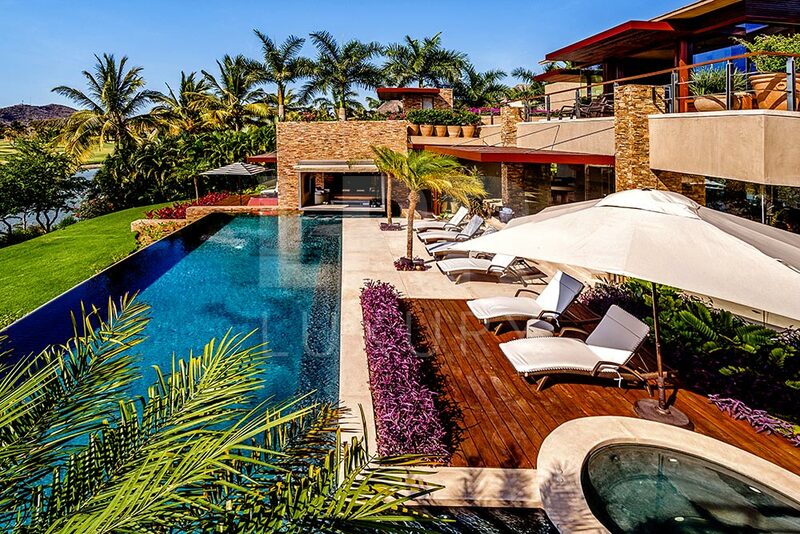 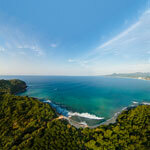 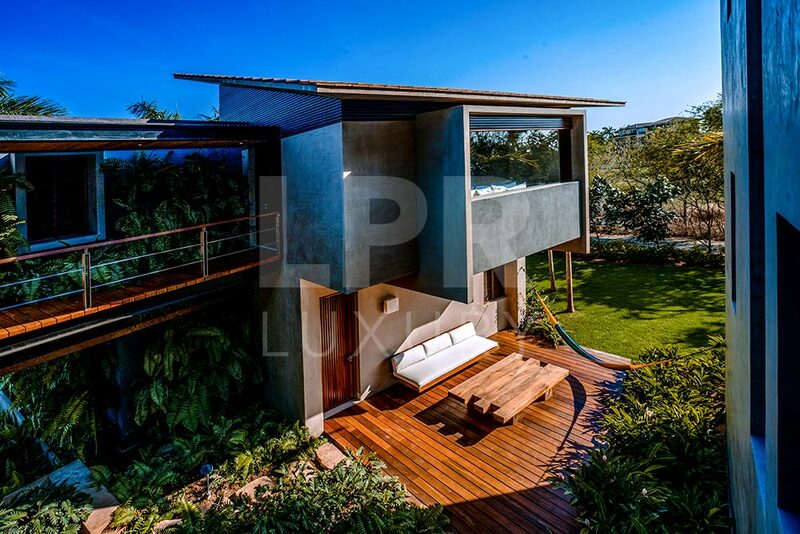 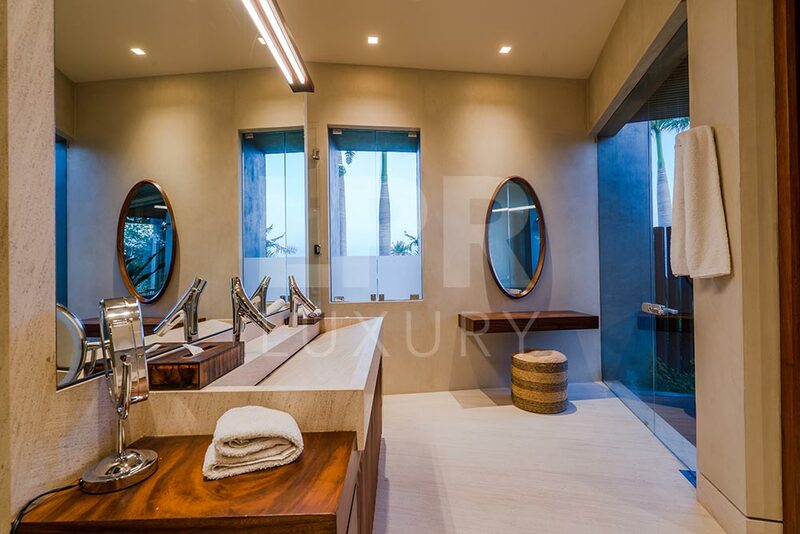 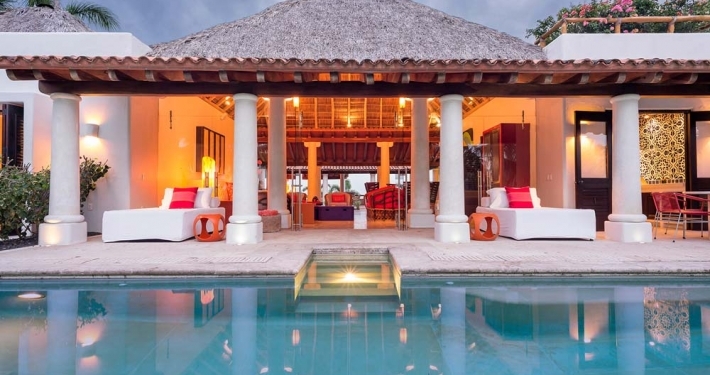 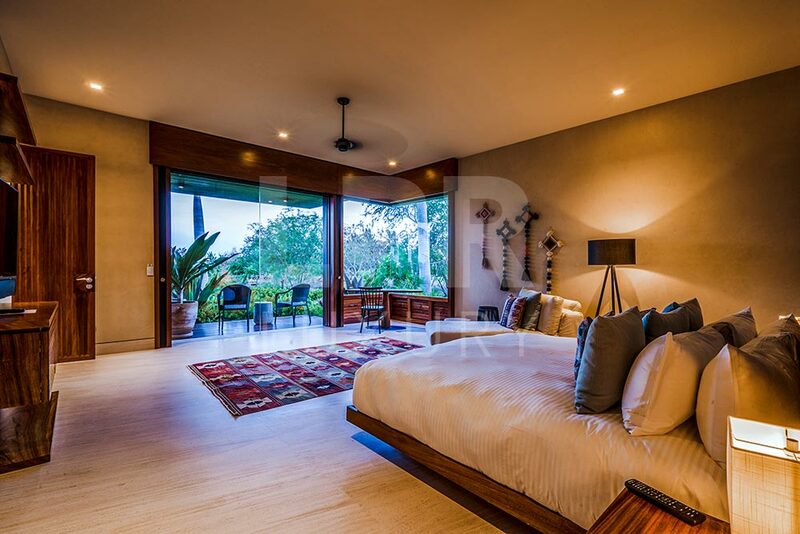 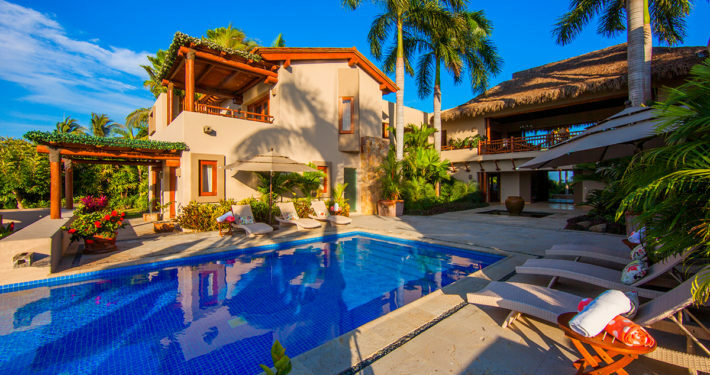 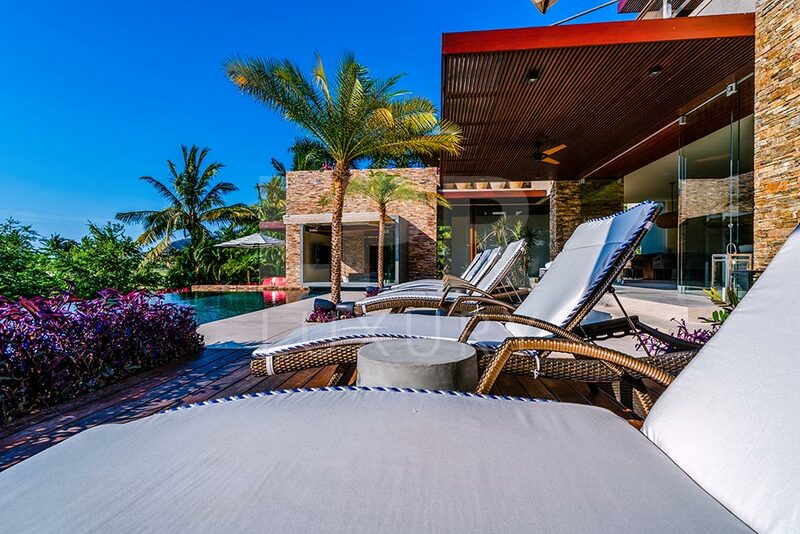 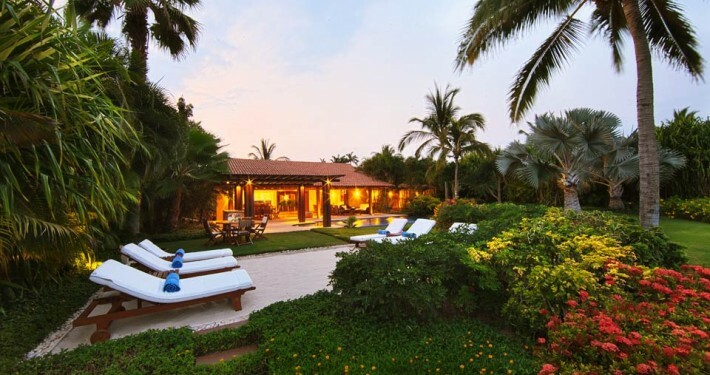 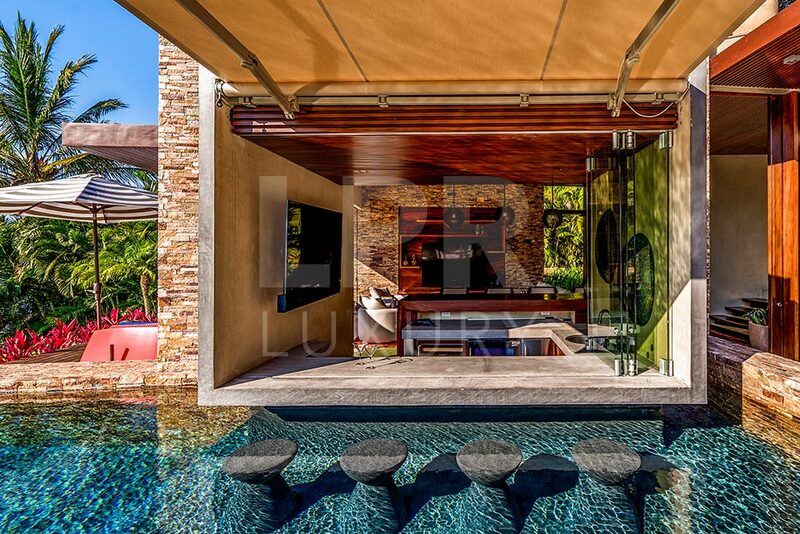 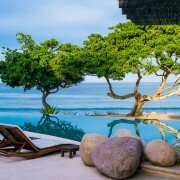 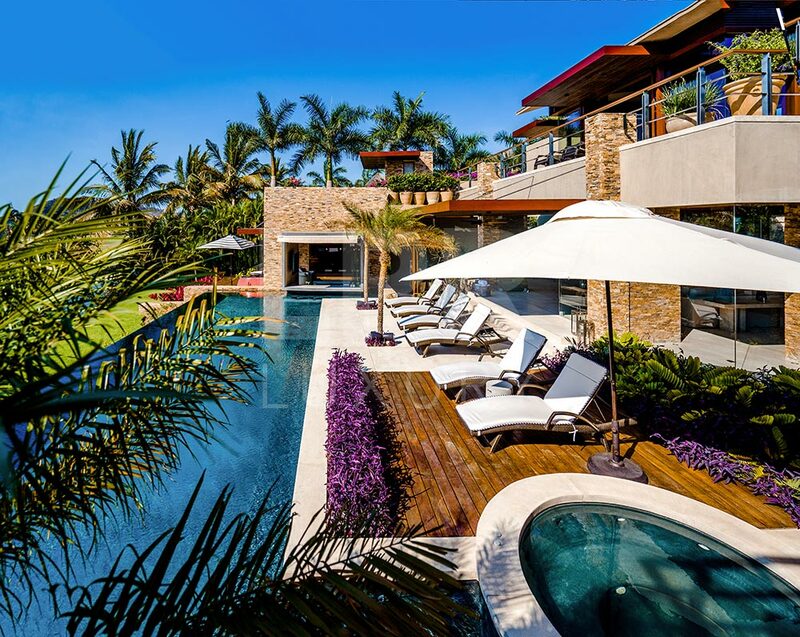 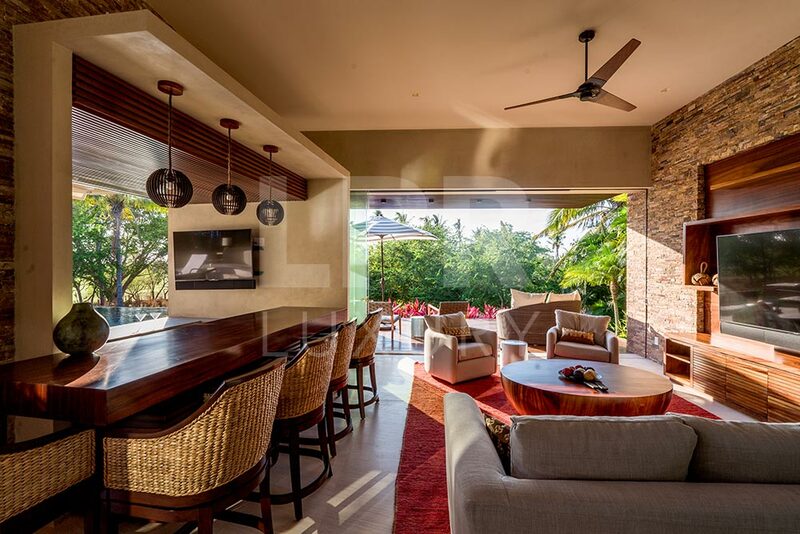 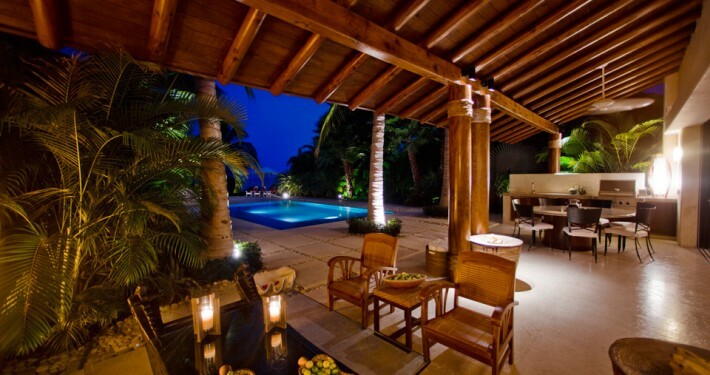 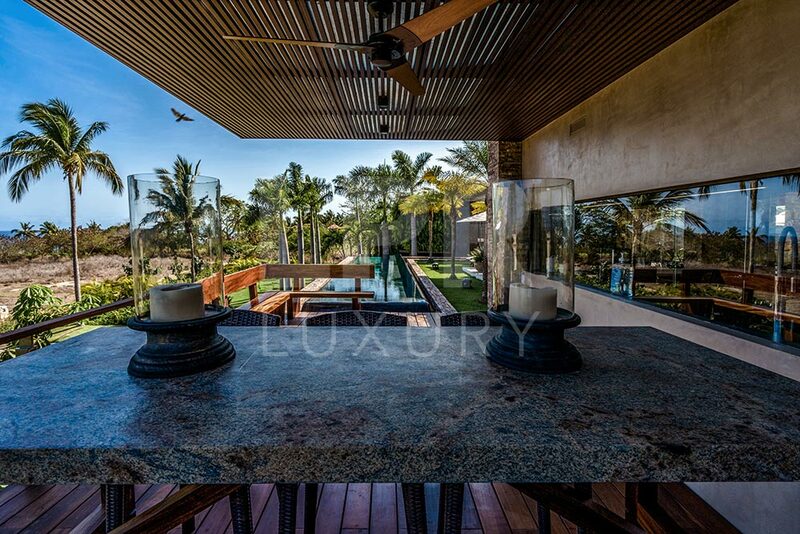 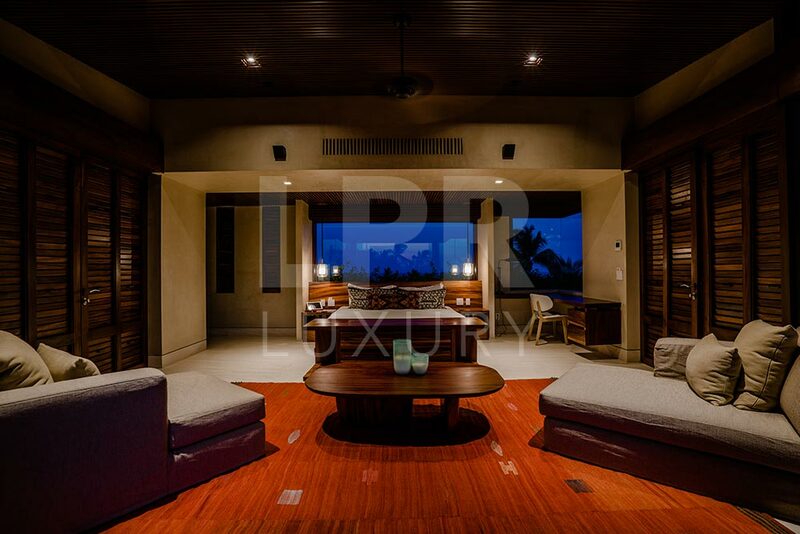 Villa Lagos del Mar 19 sits high overlooking the bay and coastline from the Ninth fairway of the Jack Nicklaus golf course at the ultra exclusive Punta Mita Resort, home to the St. Regis and Four Seasons. 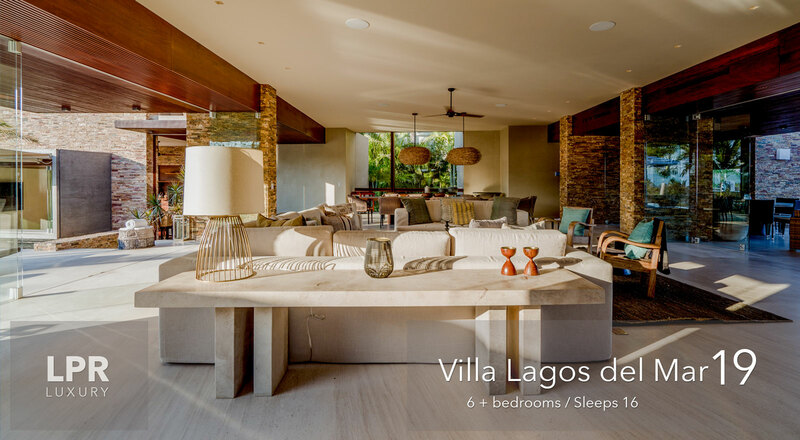 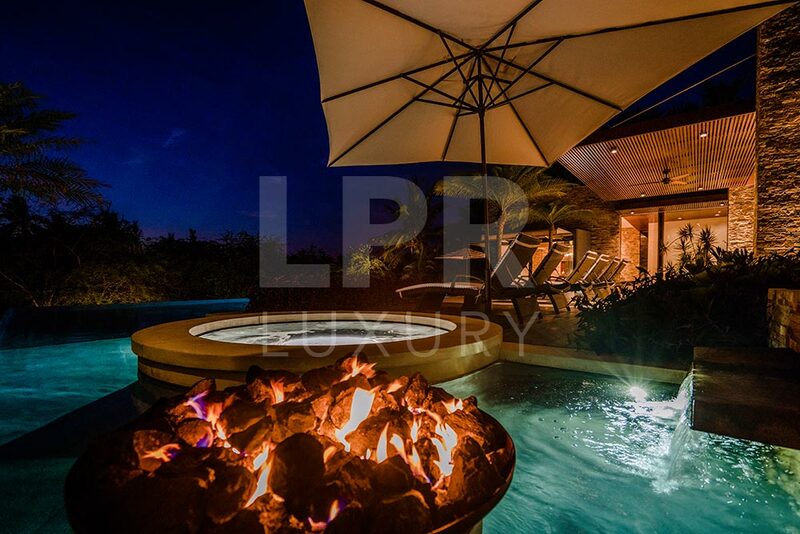 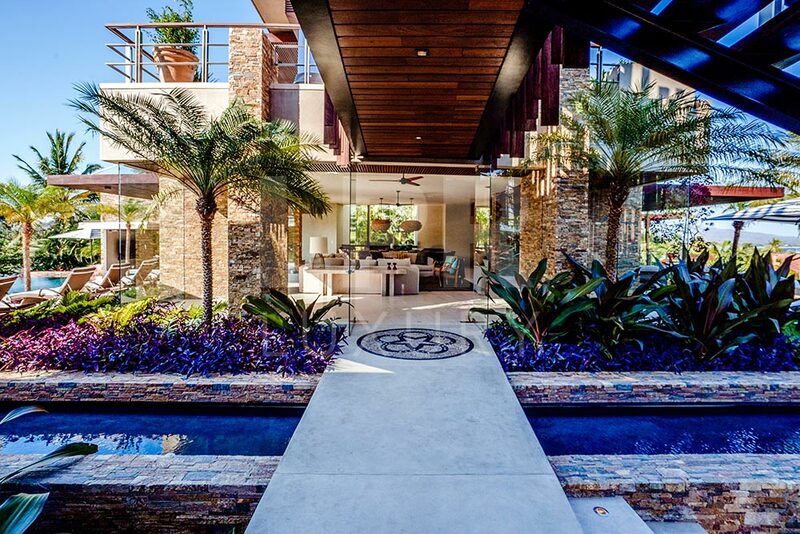 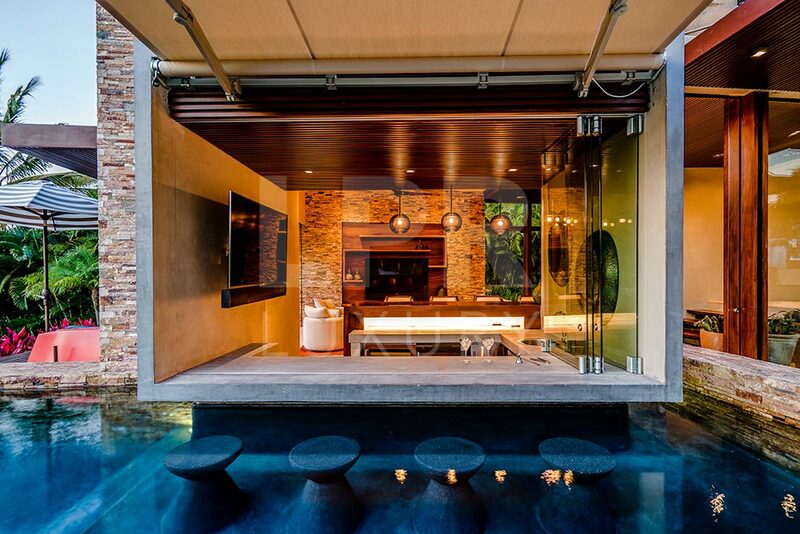 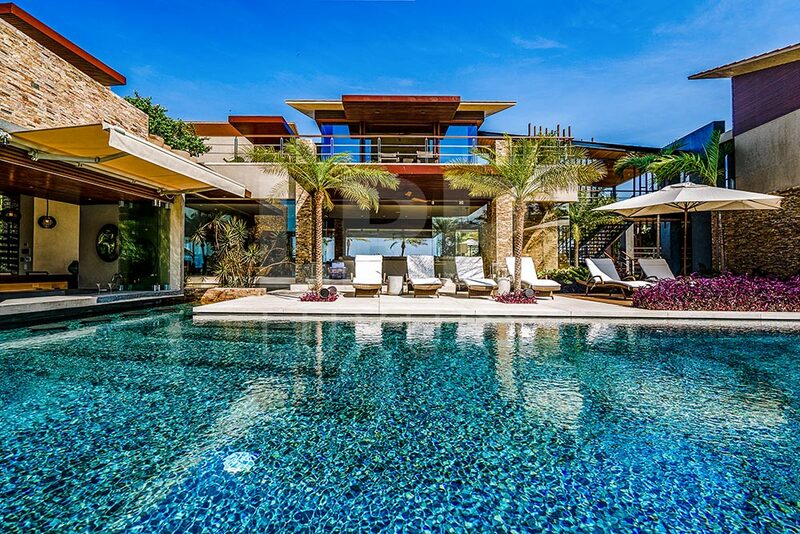 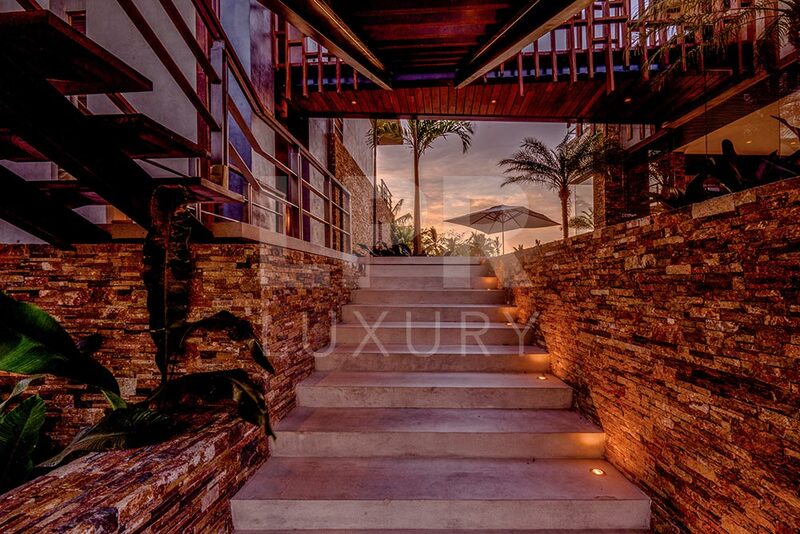 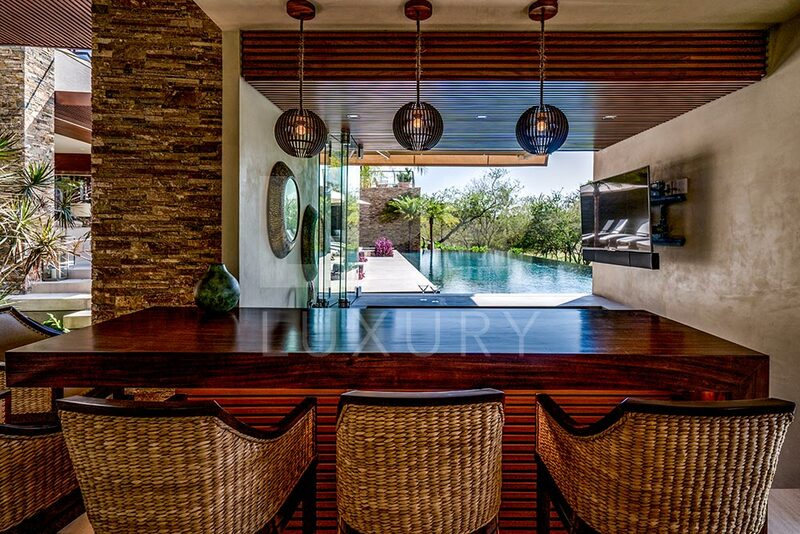 It features two heated infinity pools, one with a swim up bar, a secret cinema, gourmet kitchen, rooftop fire pit lounge and elegant hideaway bedroom terraces with ambiance and ocean views. 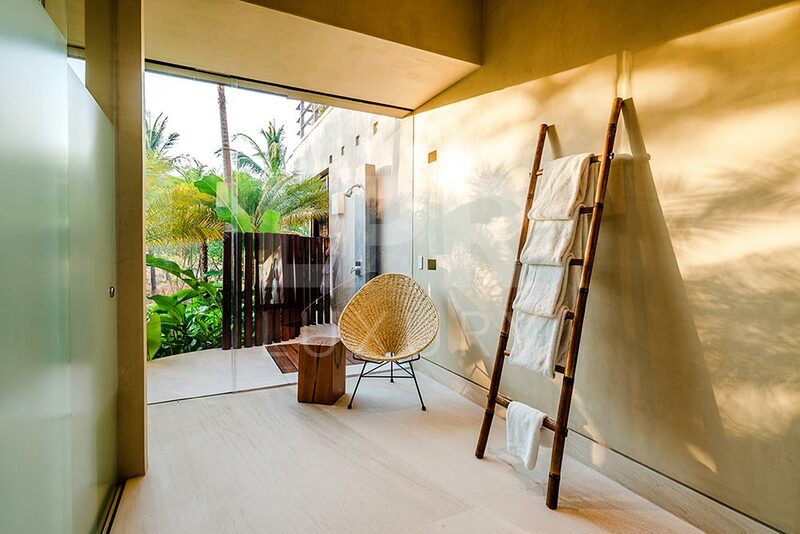 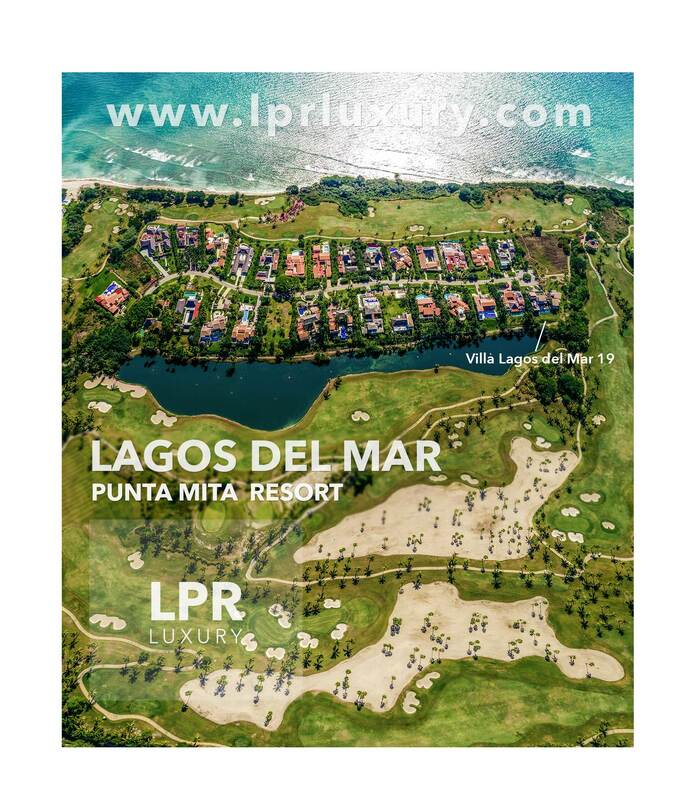 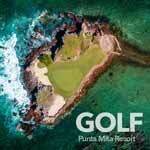 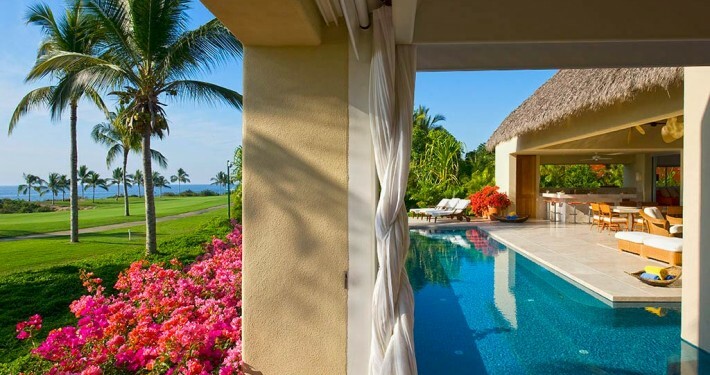 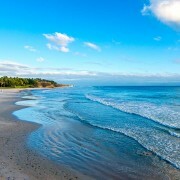 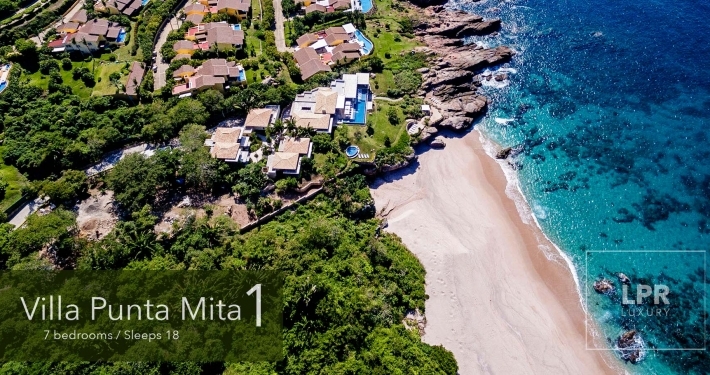 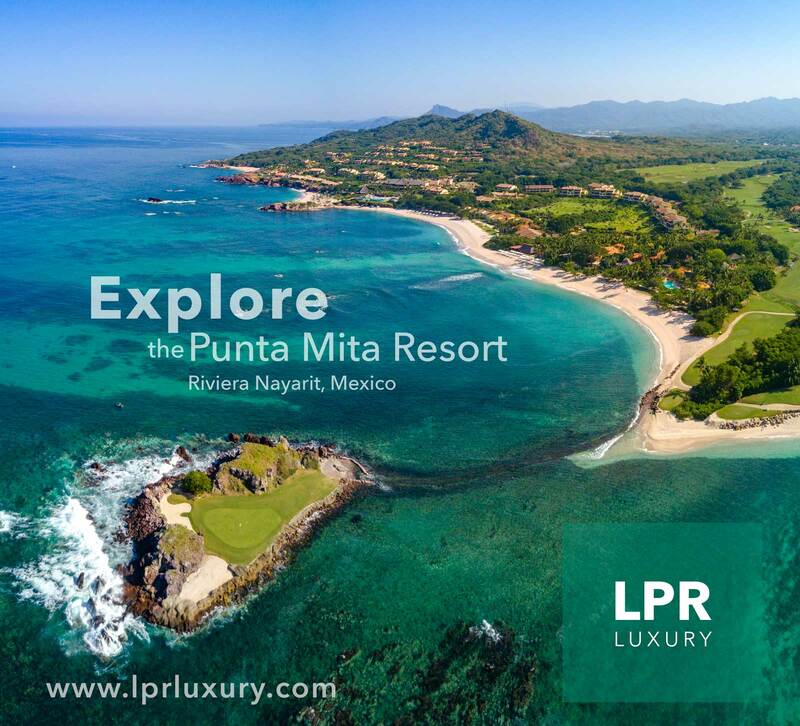 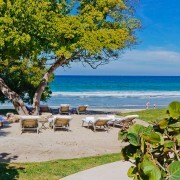 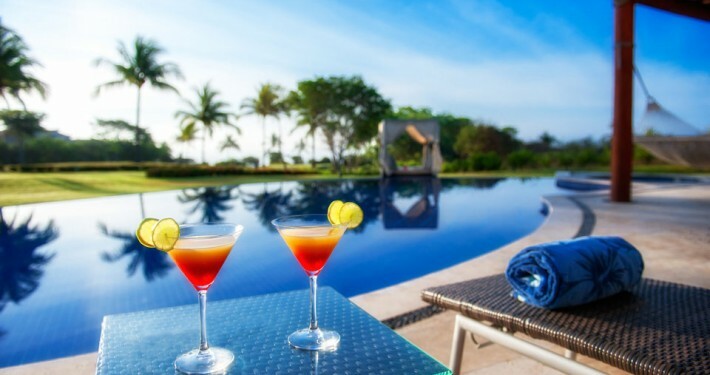 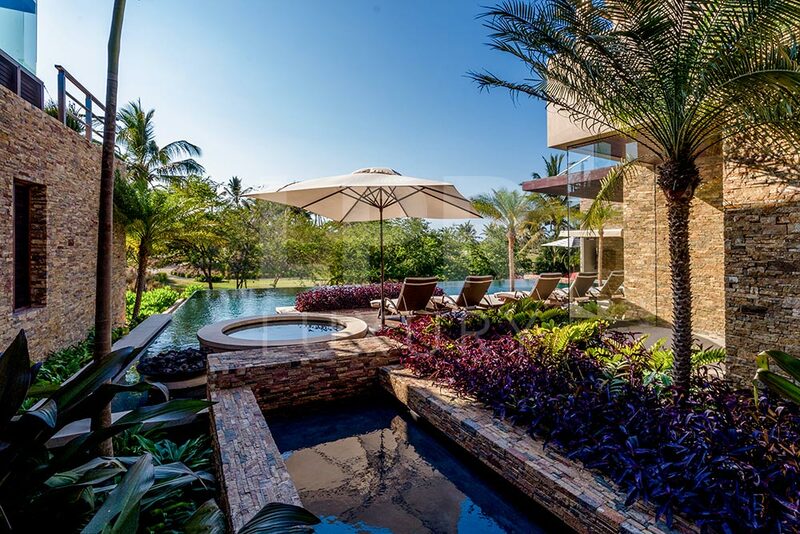 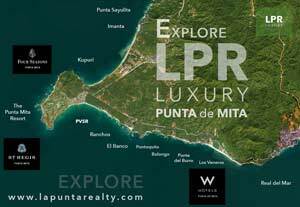 A safe haven for travelers, Punta Mita offers high-end infrastructure, 24/7 Security and world-class amenities such as two Jack Nicklaus Golf courses, tennis courts and eight miles of sandy white beaches with two beach clubs for private Residents. 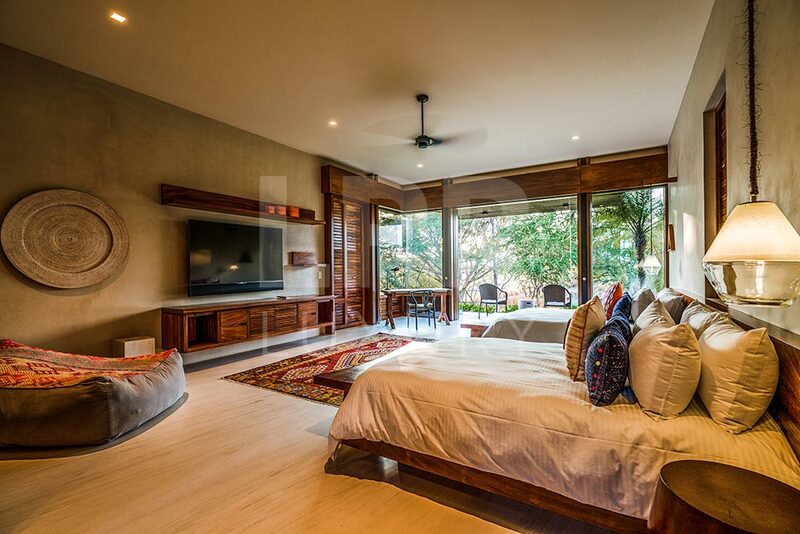 King Bed, TV and sound system, ensuite Bathroom (Tub / Shower / Outdoor Shower), A/C. 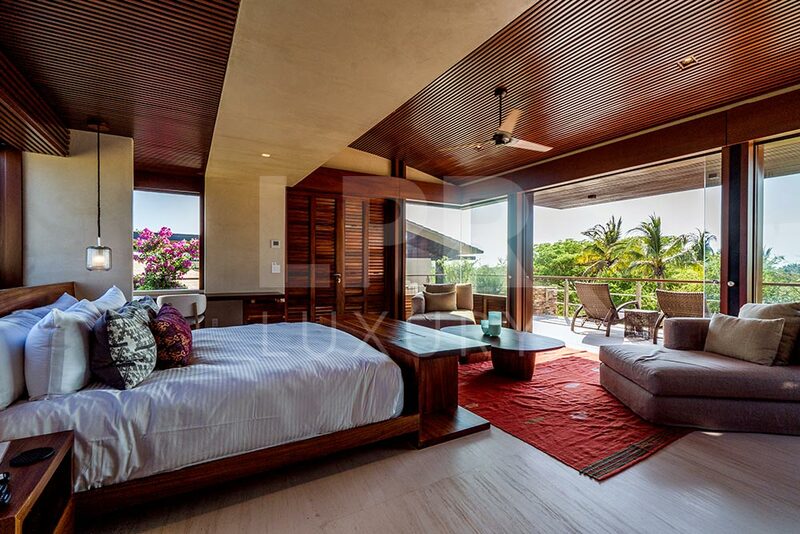 King Bed, TV and sound system, ensuite Bathroom (Shower / Outdoor Shower), A/C. 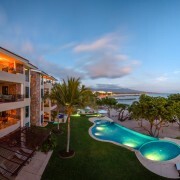 2 Queen Beds, TV and sound system, ensuite Bathroom (Shower / Outdoor Shower), A/C. 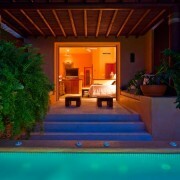 2 Twin and 2 full beds, TV and sound system, ensuite Bathroom (Shower), A/C. 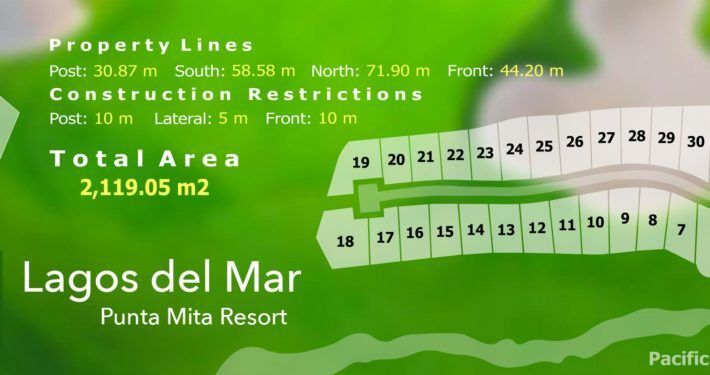 Use of Tennis and Fitness facilities.